This week's focus is The Cinematic Orchestra. 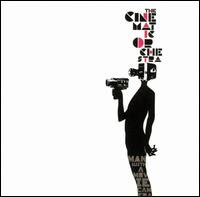 The Cinematic Orchestra (TCO) creates highly evocative imaginary soundtracks. TCO incorporates much live instrumentation in addition to samples and drum loops. A rotating cast of players on piano, sax, trumpet, electric and acoustic bass fill out the ambient drum&bass compositions by Jason Swinscoe. Not unlike the modal jazz masterpiece Miles Davis's Kind of Blue, Motion coheres beautifully from track to track, offering a seamless listening experience. Combining jazz and funk in a moody, semi-orchestrated fashion, tracks such as "Ode to the Big Sea" and "Channel 1 Suite" deliver the listener into a cinematic state of mind. The only title to make reference to a movie ("Night of the Iguana") actually has nothing to do with the Tennessee Williams' play/movie from whence its title comes. 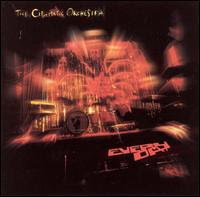 TCO's Remixes album includes just one Cinematic Orchestra original ("Channel 1 Suite") in addition to TCO's "remixes, extended versions and interpretations" of other artists' material. 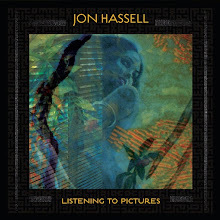 Pieces by Faze Action, Les Gammas, Kenji Eno and others get the CO treatment, while CO itself gets remixed by Tom Tyler. 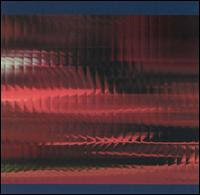 One of these tracks, a remix of Piero Umiliani's "Panoramica", appeared on Easy Tempo Experience 3. The tracks don't cohere quite as effectively as on Motion, and the degree of cinematic atmosphere is lessened overall, but it's an intriguing listen nevertheless. Fans of the Cinematic Orchestra's full length debut Motion would not be disappointed by its long-awaited follow-up, Everyday. Swinscoe's group just may be the perfect example of soundtrack-influenced trip hop/downtempo/nu jazz school of electronic music, pioneered by its record label Ninja Tune. There are seven tracks here (one for every day?) and each offers compelling evidence of the aforementioned claim. TCO's modus operandi is for Swinscoe to provide a compelling sample for his musicians to play around. As always, the samples that are uniformally serious, never glib or kitschy. Vigorous drumming lays the bedrock for the jams as bass, horns and keyboards add rich harmonic interplay to complement Swinscoe's samples. At times, the mood is so serious as to sound like something by Philip Glass or Steve Reich, but without the rigor or repetition. Swinscoe adds a new wrinkle on Everyday, namely the use of vocals by Fontella Bass ("All that You Give" and "Evolution") and Roots Manuva ("All Things to All Men"). While this promises to be a distraction from the music's soundtracky vibe, it proves a good fit after all. TCO step out with their most ambitious offering yet, a new soundtrack for Dziga Vertov's 1929 silent film Man with a Movie Camera. Swinscoe and company originally intended the score to be a one-off live performance, but ended up performing it at film festivals from Turkey to Scotland. Presented on CD, free of its formal association, TCO's Man with a Movie Camera is an absorbing listening experience. But for the ultimate experience, the DVD version -- which pairs the music to the film and adds video clips of the band interviews and live performances -- is truly the way to experience the music. The presentation is fantastic. Like other TCO recordings, this one places heavy emphasis on atmosphere -- tracks develop slowly. Live drumming, double bass, strings predominate, complimented with subtle electronics, the occasional woodwind or horn and electric keyboards. The mood is quiet, hypnotic and intense. 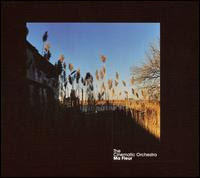 Four years later, TCO recorded an imaginary soundtrack called Ma Fleur, each of its 10 tracks representing a different scene — some featuring mellow vocals by Patrick Watson, Fontella Bass and Lou Rhodes. Fans of the group will immediate appreciate the album's elegant, languid arrangements featuring horns, acoustic guitar, piano and strings. The jazzier, more rhythmical elements found on earlier albums has all but disappeared, giving way to more spacious, ambient sounds. This may prove disappointing to fans looking for something fast and frenetic, but it's Sunday morning music at its most mellow. In 2008, TCO released Live at Royal Albert Hall, a concert that favored their newer material and amply demonstrates their instrumental chops more than most electro-jazz groups.